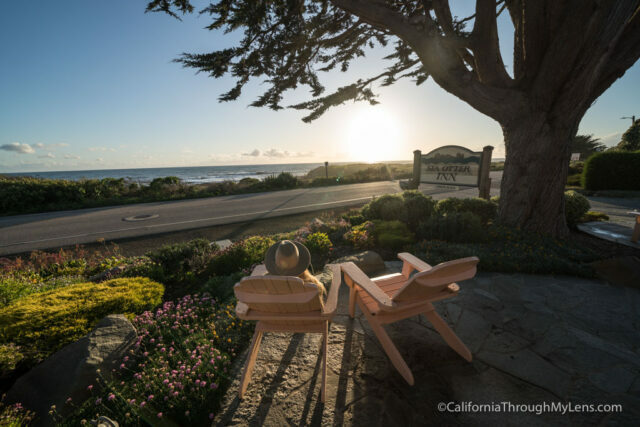 The coastal town of Cambria is a great place to spend a relaxing weekend on Highway 1. 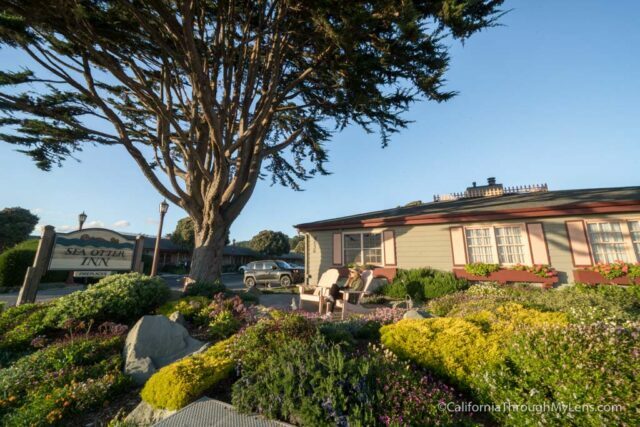 In my opinion, the best part of the city to stay is on Moonstone Beach Drive, which is where the Sea Otter Inn and a few other hotels are located. 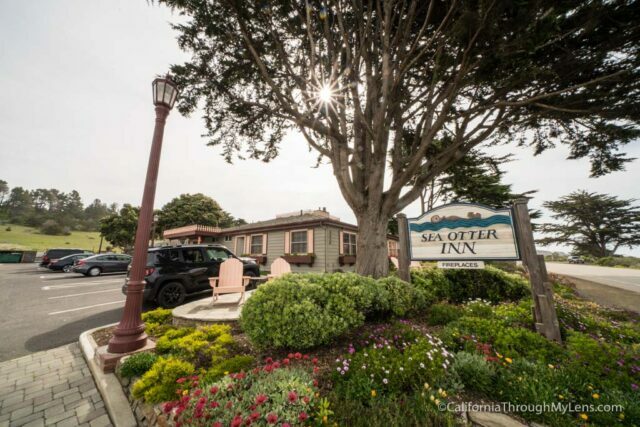 I spent two nights at the Sea Otter Inn, and both my wife and I loved our time in this relaxing hotel, especially enjoying the breakfast delivered to your door each morning and access to the ocean right across the street. 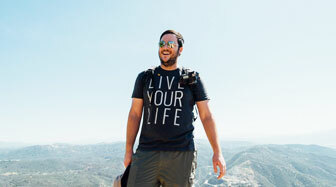 It is an excellent spot if you are looking to relax and here is all the information. 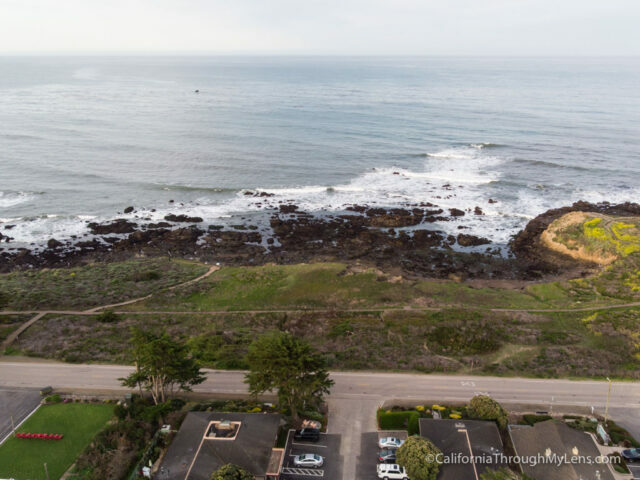 From Highway 1 heading north, you will turn left on Windsor Blvd then a quick right on Moonstone Beach Drive. From here the hotel is about a mile and a half down on the right-hand side. There is parking right next to the rooms. The hotel is two buildings with about a dozen or so rooms and a small parking lot. 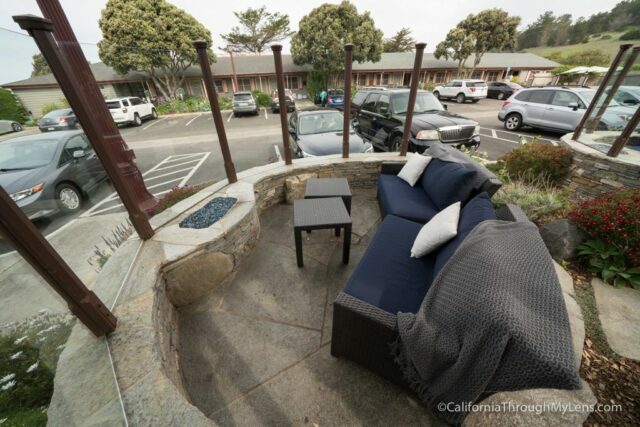 I appreciated the size as it made it feel a lot more quaint, complete with Adirondack Chairs and three fire pits placed around the property, encouraging you to leave your room and relax in the ocean breeze. 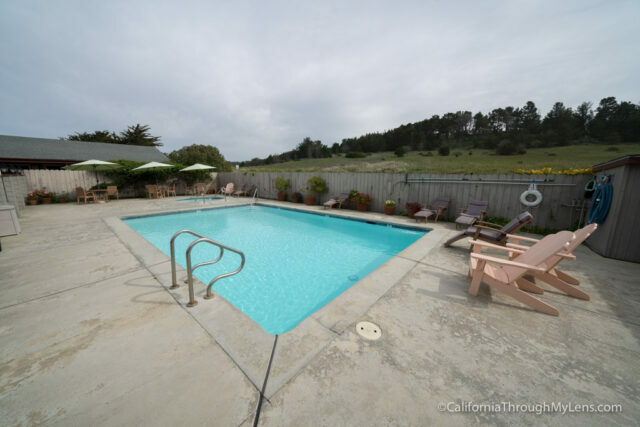 There is a pool in the back if you are there in the summer and want to swim in the water instead of the ocean. The small lobby has cookies in the afternoon and coffee all day, making it a great spot for a pick me up. 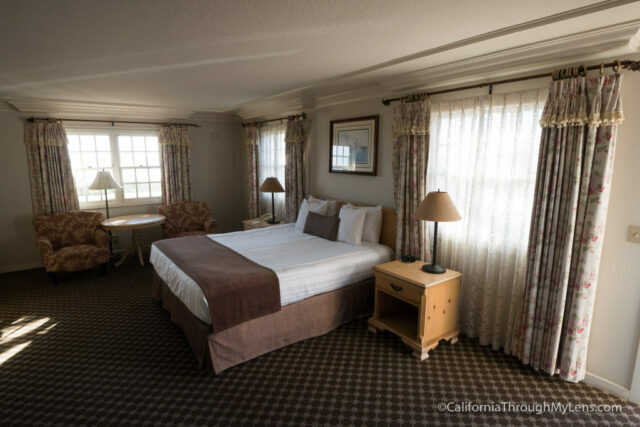 The hotel features large rooms with a comfortable design that’s warm and adds to the relaxation provided by the property. A few of the rooms have ocean views as well, and we were lucky enough to get one of these. 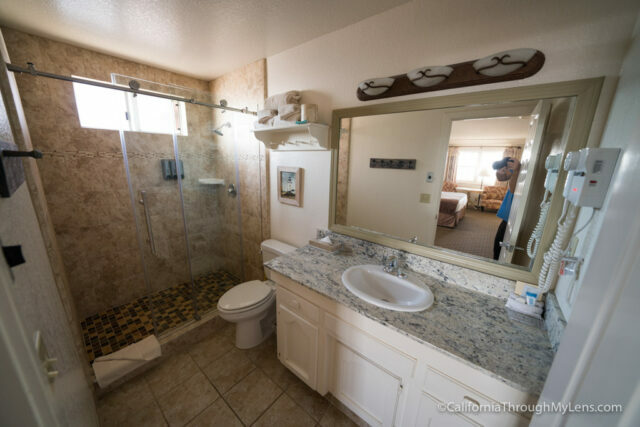 The bathroom had a large glass sliding door and a vanity for all of your stuff. It was one of the nicer hotel bathrooms I have been in. The room also had a fireplace that was used to regulate the temperature, and it worked great for us as it was cold in the spring and it was nice to sit near the fire. 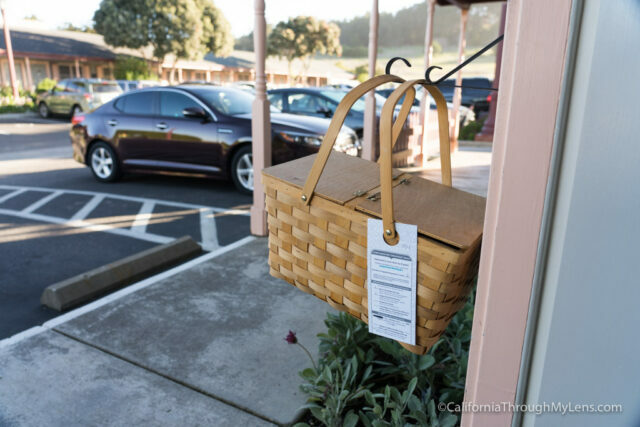 Each night you fill out the breakfast you want from the four options (meat or vegetarian breakfast burrito, yogurt, or pastries with fruit) and leave it on your door to be delivered in the morning. 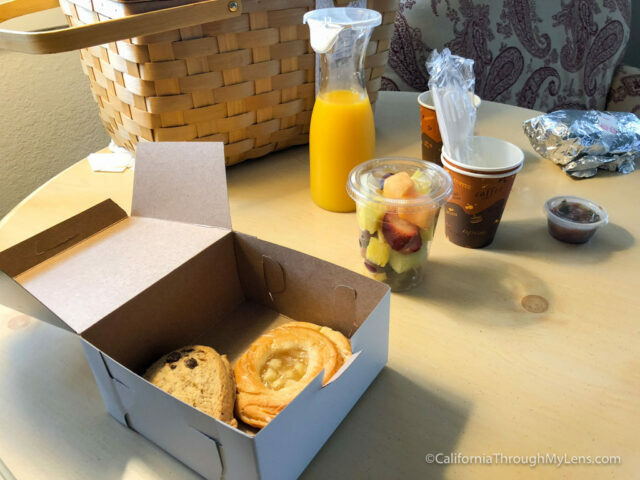 We had the burritos and the pastries with fruit and they were a great way to wake up in the morning. The meals also came with orange juice as well. 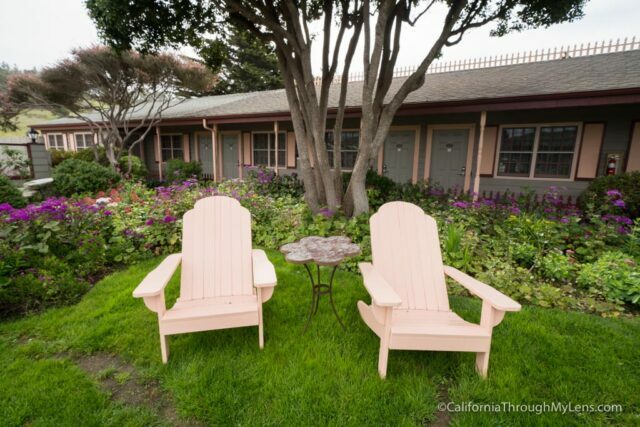 It is especially fun to have your breakfast in the Adirondack Chairs, looking over the ocean. The location next to Moonstone Beach Drive is great if you are into running, as the wooden path is about two miles roundtrip and its a beautiful spot for a morning run. 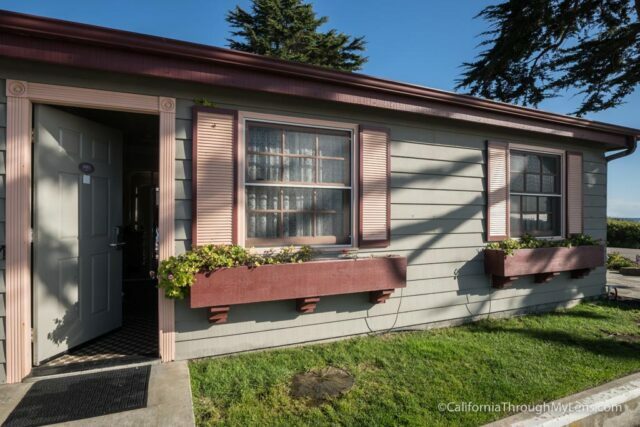 You can see how close it is to the beach and running path in the below photo. 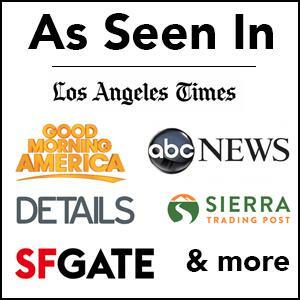 Honestly, I don’t have anything negative to say about the Sea Otter Inn. It was a lovely and relaxing spot that both my wife and I enjoyed. 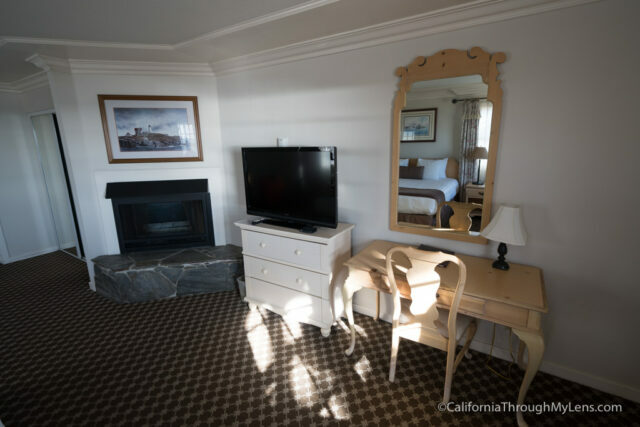 I can’t wait to go back and if you are looking for a nice hotel along the coast then be sure to check out the Sea Otter Inn.